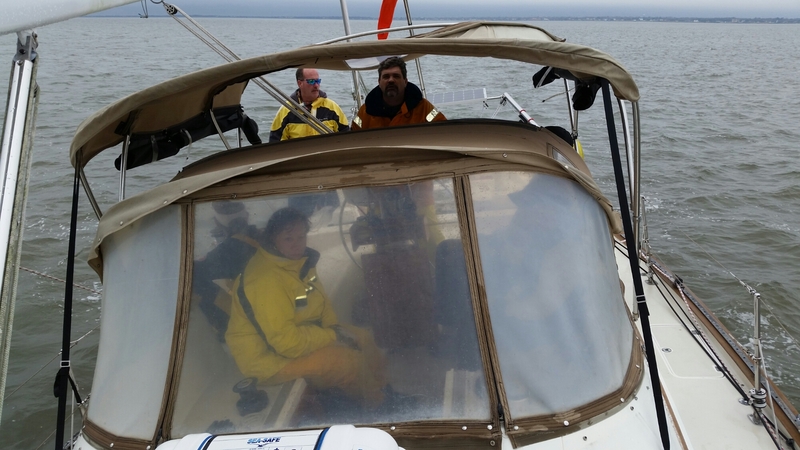 With rainy weather in the mid-50s, there were no actual icicles to be seen during the first race of the 2015 Galveston Bay Cruising Association Icicle Series Regatta. However, I was glad I decided to put on a coupe extra layers of clothing before reporting to the boat Saturday morning. With Antares, the Cal 40 we crewed with last year, suffering from a leaking fuel pump, I crewed for our friends Andy and Jayne aboard their new boat Hippokampus, a Pearson 422. It was my first time sailing with them, and it was their first time racing the boat, so it was a learning experience for all of us. All was going well as we approached the starting line. Then we attempted our first tack to begin the race. That turned out to be a very long tack. The jib wrapped itself up on the furled stay sail, and it never took less than two of us to run to the foredeck and work it loose. Jibes were no problem, but a clean tack proved impossible, and we ended up starting ten minutes late. Once started, the first leg of the race went well. Then when we were about ten minutes away from the second marker, the wind shifted. That resulted in a couple more very dirty tacks to stay out of the ship channel and make it around the tower. The last leg would have been uneventful until we were about ten minutes from the finish, at which point the wind completely died. 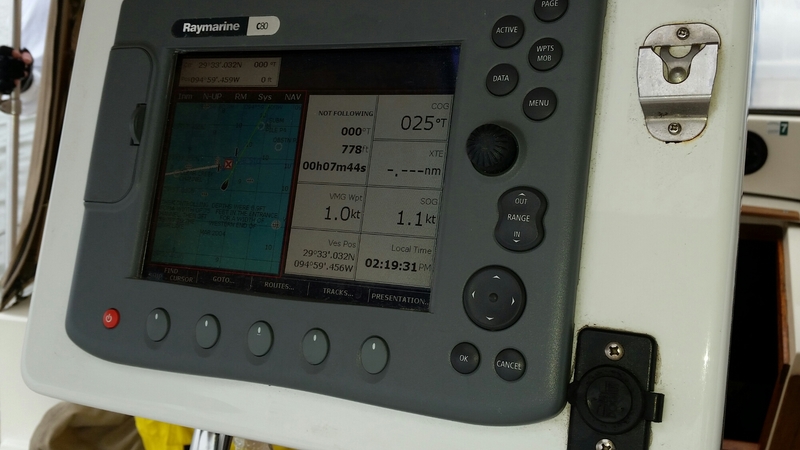 That last ten minutes stretched to thirty as we sped towards the channel at a whopping 1 knot. Of course, the day wouldn’t have ended appropriately if we hadn’t had to make one last tack to get through the finish markers. We actually furled the jib and used to stay sail to make the turn, then unfurled the jib to finally crawl across the line. It’s interesting how many time during the race that starting ten minutes late made a difference. Of course, nobody was worried about where we placed. It was great just to be on the water with friends, learning the ins and outs of a new boat. Of course, the rum served after the race was great too. ← Do dogs make resolutions?